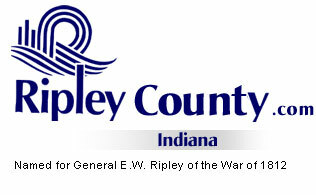 The Ripley County Council met on October 15th, 2007 at the Ripley County Annex in Versailles, Indiana. Donald Dunbar, Council President called the meeting to order promptly at 7:00PM with the pledge of allegiance to the flag. Council members Dephane Smith, Edward Armbrecht, Juanita Kaiser, David Simon and Donald Dunbar were present for the council meeting. Mark Busching and Ben Peetz were not present. Council Member Kaiser made a motion to approve the minutes from the September 17th, 2007 Council Meeting seconded by Council Member Smith. Motion approved by those present. (Dunbar, Armbrecht, Simon, Kaiser and Smith) Busching & Peetz were not present. Council Member Armbrecht made a motion to approve the additional appropriation of $600 Acc#214-34401000-034 Environmental Telephone/Health Department seconded by Council Member Kaiser. Motion approved unanimously. Council Member Armbrecht made a motion to approve the additional appropriation of $2,825 Acc# 425-11355-00-050 Show Mobil, $600 Acc#425-38710-000-050 Event Expenses, $900 Acc# 425-38701-000-050 Rental Deposits/Park and Recreation seconded by Council Member Simon. Motion approved unanimously. Sheriff Grills updated the Council Member on the misdemeanant fund and reserve officers. Grills advised Council Members that he didn’t have any reserve officers at the present time and that he had one officer fill out paper work for the insurance company. Tom Grills, Ripley County Sheriff withdrew the additional appropriation of $15,000 Acc# 100-37501-00-014 Meals for Prisoners that had been tabled from the September meeting. Council Member Armbrecht made a motion to transfer $10,829 from Acc#201-36400-000-027 Liability & Casualty to Acc#201-19100-000-027 Workers Comp. seconded by Council Member Kaiser. Motion approved unanimously. Council Member Kaiser made a motion to transfer $15,000 Acc#278-33261-000-278 EDIT/Ripley County Economic Development to Acc#278-33230-000-278 EDIT/ Fairground & Park seconded by Council Member Smith. Motion approved unanimously. Council Member Smith made a motion to transfer $100,000 from Acc#278-33261-000-278 EDIT/Ripley County Economic Development to Acc#278-32520-000-278 Bituminous/EDIT seconded by Council Member Kaiser. Motion approved by two (2) Council Members (Smith & Kaiser) and three (3) against (Dunbar, Simon & Armbrecht). No actions taken and tabled to the next meeting. Council Member Smith made a motion to approve the transfer of $3,000 from Acc#214-36450-000-035 Medical Professional Liability to Acc#214-13300-000-035 Nurse Insurance seconded by Council Member Simon. Motion approved unanimously. James Morris, Judge Superior Court advised the Council Members that the budget approved by council needs to be corrected due to the Bailiff getting a 2% raise and should have been 5% and the Assistant Court Reporter got 5% raise and should have been 2%. Council Members advise Judge Morris that he needs to do an Amended Salary Ordinance and Budget for 2008 and bring back to the November meeting for Council approval. Auditor McCoy advised the Council Members that $12,001.81 has been received from the Ripley County Community Foundation and deposited into the Endowment Fund. President Dunbar advised that the committee would report on the Humane Society at the meeting in November. Technology Committee-Edward Armbrecht- meeting on Tuesday, 16th of October. Solid Waste District- Donald Dunbar- next meeting on 18th October. EMS Advisory Committee-Dephane Smith-meeting changed to the 24th of October. Council Member Kaiser made a motion to adjourn until the next meeting on Monday, November 19th, 2007 @ 7:00PM seconded by Council Member Smith. Motion approved unanimously.